WE ARE FULL! CALL TODAY TO BE ON THE WAITING LIST! Our brand new SLO RV storage facility is open to ALL Elks Members as well as the general public! Elks Lodge #322 offers a clean, safe and secure location for RV & Boat Storage. 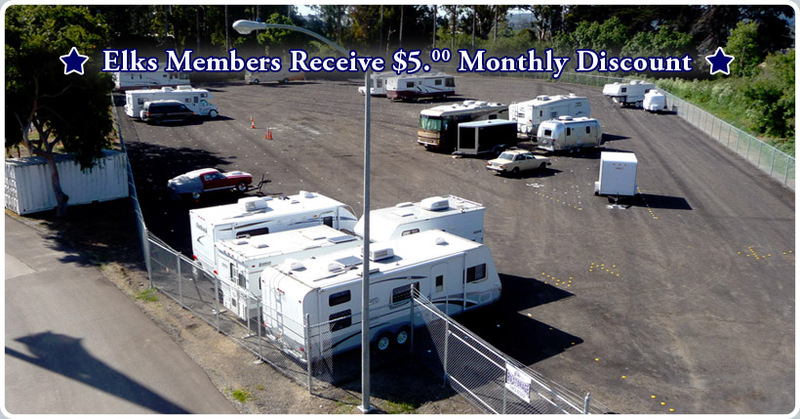 Reserve a spot in our SLO RV Storage Facility for your recreational vehicles.